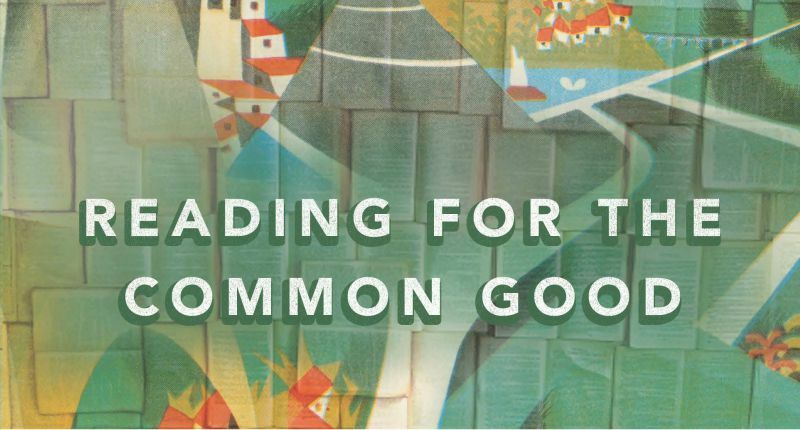 Editor’s note: The following is an excerpt from C. Christopher Smith’s book, Reading for the Common Good, now available from IVP. A practice of slow, attentive reading called lectio divina emerged in the monasteries at least 1500 years ago. You might even have had some experience with this way of reading, as it has become quite popular in some streams of Christianity today. Lectio divina is composed of four different interwoven elemental practices all centered around reading, and particularly the reading of scripture. Meditation, carefully reflecting on the meaning of the text—e.g., what might it have meant to the people for whom it was originally written? It doesn’t take a lot of imagination to see how the practice of preaching—an act that involves not just the one preaching the sermon but also the congregation that hears the sermon—can be interpreted through these four interwoven practices of lectio divina. The biblical text of the sermon is often read aloud, either at the beginning of the sermon, or verse-by-verse as the preacher progresses through it. The work of the congregation during the sermon is primarily devoted to prayer, to preparing to encounter God in the text. The primary work of the preacher is meditation, careful reflection on the text, perhaps examining certain words or phrases and what they meant in the original language or in the cultural context in which they were written. The preacher guides the congregation through a meditation upon the text, turning the text over and looking at it from a number of different angles. Contemplation is probably the element of lectio divina that is most foreign to contemporary churches, as we often don’t have venues to discuss and reflect together on the meaning of sermon and how that particular passage might transform us in some particular way as a church community, but some churches throughout church history have done so, and developing spaces for dialogue and community reflection will transform our congregations in beneficial ways. I believe that this same sort of slow and careful reading that the church has practiced for many centuries in lectio divina, and that is familiar in many churches today in the act of preaching, can be applied not only to scripture, but also to other sorts of reading. Scripture is clearly our primary story, the one in which we find our identity as the people of God, but there are other types of reading that help us understand what it means to live faithfully to the scriptural story in our particular time and place. We might read commentaries or other books that help clarify the meaning of certain passages of scripture, or theological works, or works on church history. As we seek to discern how we are to follow faithfully in the scriptural story, we might read books that help us understand the places in which we live and our neighbors in them: sociology, history, economics, politics, for instance. We will inevitably also read works that help us understand our vocations, how to do our work well and how it fits with the mission of God and coheres with the work that our brothers and sisters of our local church community are doing. Reading well-crafted literature—fiction, poetry or even drama—can stretch our imaginations and remind us that life does not always have to be ordered in the same way that we order our shared life in our churches and neighborhoods. Slow and careful reading, driven by the desire to see God’s kingdom come on earth as it is in heaven, is one significant way that we submit ourselves as “living sacrifices” and through which God transforms us by renewing our minds (Rom. 12:1-2).Slow and careful reading … is one way we submit ourselves as “living sacrifices” At the core of this transforming process is the social imagination, the shared ways in which any community understands how the world works. Through reading, and conversation about what we are reading, our social imagination is transformed as we are drawn into deeper engagement with our church community and our place. As our understanding of the places that we live deepens, along with our knowledge of those who are our neighbors, we are equipped to participate in the life and work of these places in meaningful ways that bear witness to the healing and restoring work of Christ. 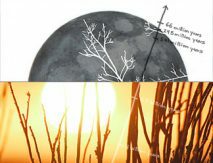 In the interconnected web of creation, our particular place is connected economically, politically, ecologically with other places, and although our place is the primary context in which we must live and work, we will inevitably be drawn into work with people in other places as we all seek the health and flourishing of our places. Reading is an essential part of an active Christian faith that is ever seeking to bear witness to God’s reconciling work, and to do so in ways that fit the cruciform life and teaching of Jesus. N.B. : A version of this article first appeared in the Englewood Review of Books. 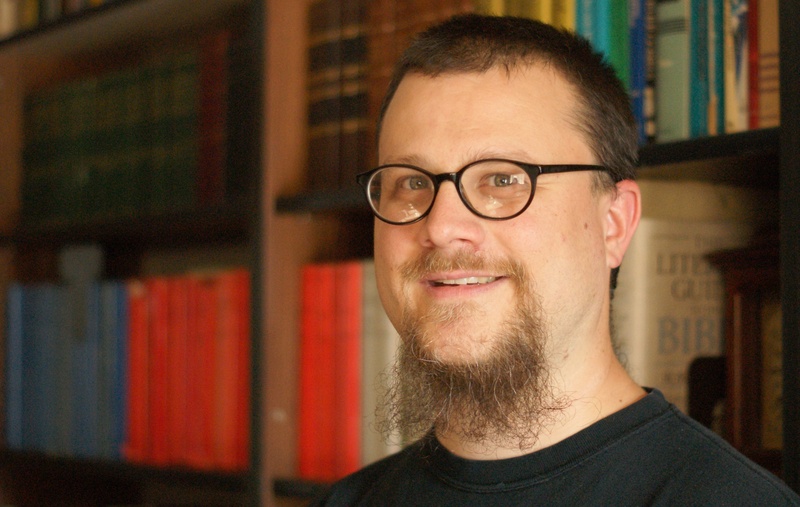 C. Christopher Smith is editor of The Englewood Review of Books, co-author of Slow Church: Cultivating Community in the Patient Way of Jesus, and author of Reading for the Common Good.